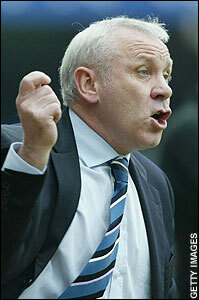 Peter Reid is to be named as the new coach of the Thai football team next week, according to the British media. The 52-year-old former Sunderland and Manchester City manager has held discussions with representatives of the Thailand Football Association in Manchester, and his agent is due to fly to Thailand next week for further discussions. The Thai team is seeking a replacement for Charnwit Polcheewin, who resigned after Thailand failed to qualify for the 2010 World Cup. "I would like to go," Reid said. "I've had a couple of opportunities in international football - Iran offered me a job, which I didn't take for personal reasons - but this one does interest me, it's good for the CV, and, hopefully, I can get them to the  World Cup."